Thanksgiving has passed and it’s now officially acceptable to start putting up your decorations and celebrating the winter holidays. 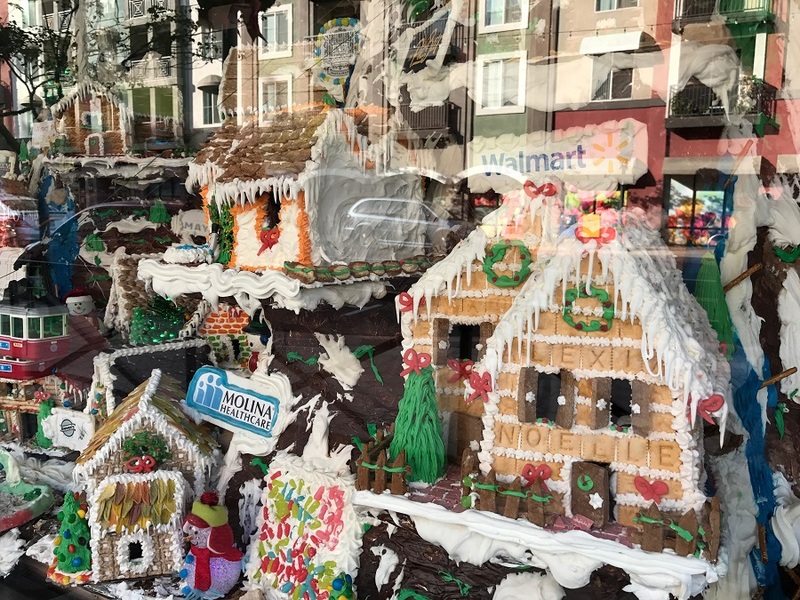 In fact, now would be the perfect time to stop by and admire Master Gingerbread House Maker Isaac Salgado’s massive gingerbread village, located in the window at Kress Market & Deli in downtown Long Beach. The towering gingerbread city is so much more than your quaint Christmas decoration; it’s an edible architectural feat. The longer you stare the more you realize just how much time and expertise was required to bring the candy-laden structure to completion. Salgado’s past experience as an executive chef—he now runs his own cleaning business, Rug’it Cleaning—shines through with his creativity and pure dedication to putting in over 350 hours to bring the village to candy-coated life. 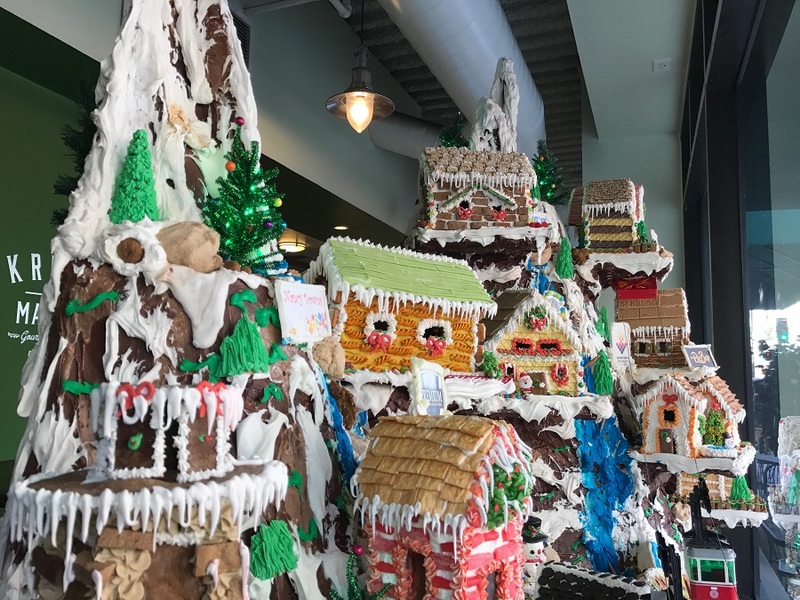 At least 300lbs of powdered sugar (not counting the myriad other ingredients) were used and, if you look closely, Salgado even included downtown’s Loop structure, a nod to the colorful connector of lower and upper Pine Avenue. The village was created not only to stoke holiday cheer, but to promote Willmore City Heritage Association (WCHA)’s sixth annual Winter in Willmore, taking place Saturday, December 17, with snow sledding, arts and crafts, gingerbread house-making and more at Drake Park from 1:00PM to 5:00PM. 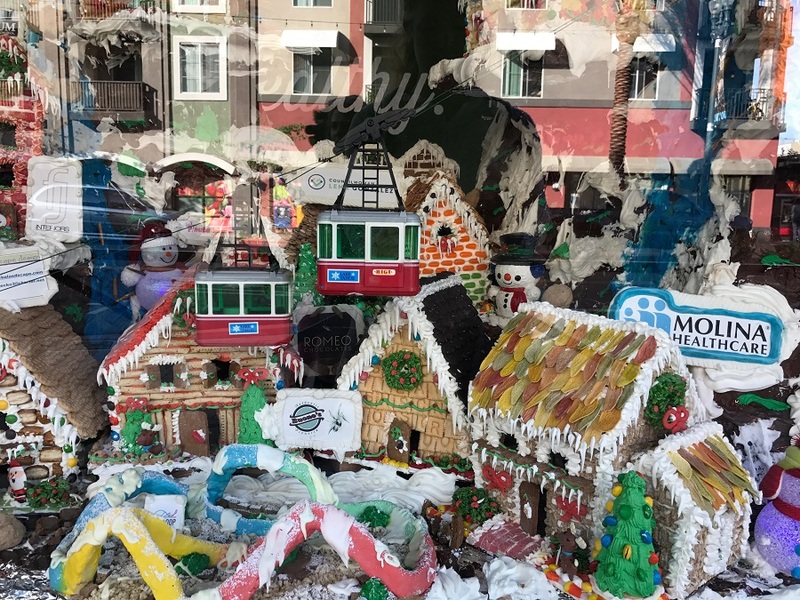 Last year, Salgado created an impressive gingerbread village at what is now MADE in Miillworks, and the year before that erected an equally outstanding structure in DOMA’s corner window. 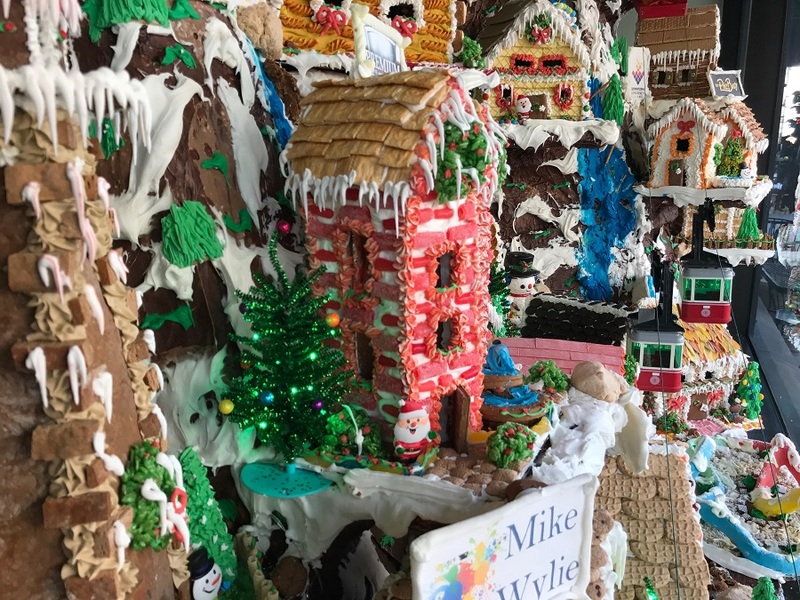 Salgado’s initiative to “make sure everyone understands they can have fun with food” was truly realized during this 2016 build, as he allowed several children from the area to assist with decorating the village. Kress Market & Deli is located at 443 Pine Avenue.